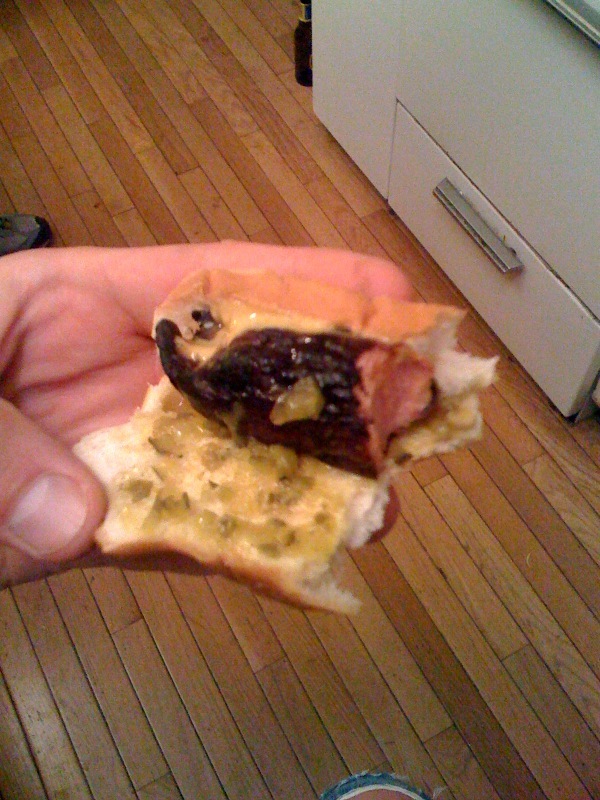 3/4 eaton hotdog with the green tabasco sauce on it!!! soooooo good!! !